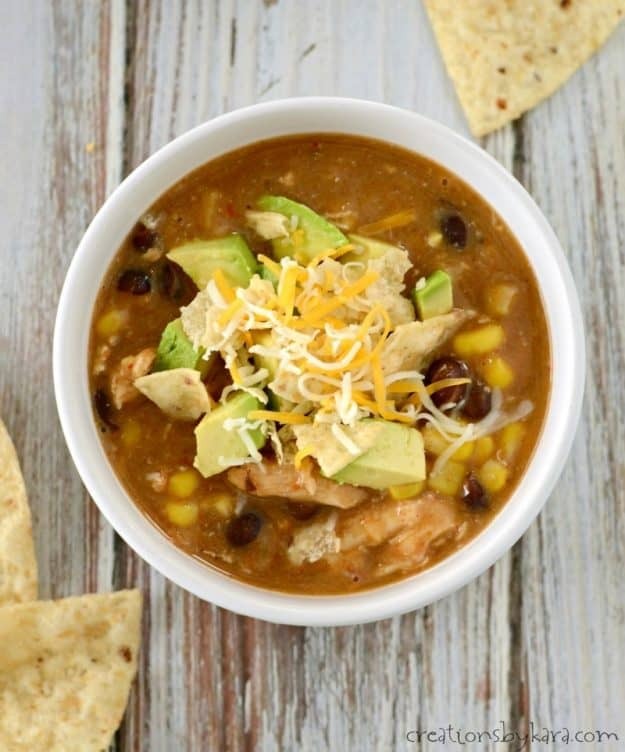 Chicken Enchilada Chili . 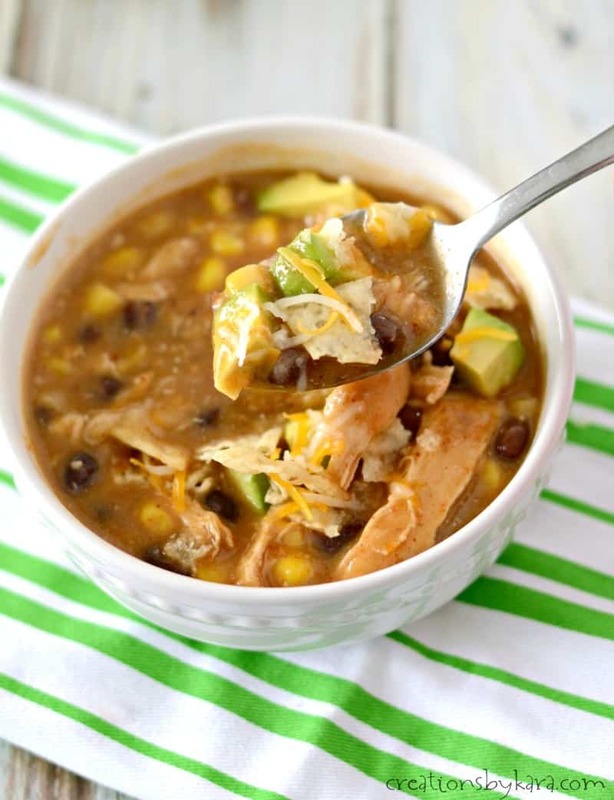 . . this chicken chili is so packed with flavor that no one will guess how easy it is to make! For some reason, my kids aren’t big fans of traditional chili. They did love this chicken enchilada chili though! Even the seven year old, who turned up her nose at first, ended up asking for seconds. It is definitely going into the regular rotation. This is one of the easiest chili recipes I have ever made. Aside from browning the chicken, all you need to do is toss in the ingredients into your soup pot and let it simmer. After about 30 minutes, you shred the chicken and you have a steamy bowl of deliciousness ready to warm you up. The green chili sauce really does give it a great chicken enchilada flavor! We actually ended up having leftovers, and it was just as fantastic the next day. We’ve had seriously cold weather this week, so this chili was perfect! It’s the garnishes that really take this chili over the top. The diced avocado was my favorite. It adds a rich and creaminess to the soup, and offsets the spice. So yummy! 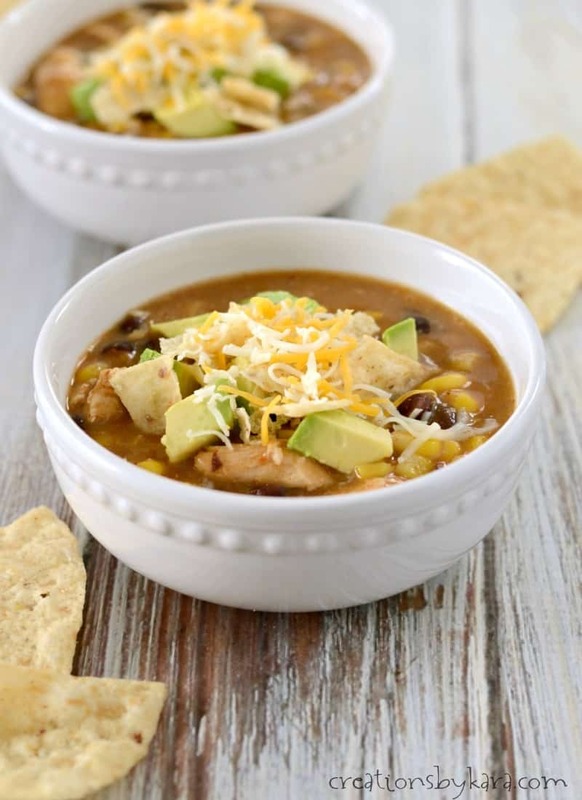 Every last bite of this chicken chili is scrumptious, and it has just the right amount of heat to warm you up on a bitter cold winter evening. You can add more heat by upping the amount of taco seasoning, or even using hot enchilada sauce. Give it a try, it might just become a favorite at your house too! Mexican flavored chicken enchilada chili loaded with beans and corn. Brown chicken breasts in oil in a large soup pot. Add enchilada sauce, chicken base, water, black beans, seasonings, and corn. Bring to a boil and simmer for 30 minutes or till chicken is done. Stir in the one cup of cheese and heat till melted. 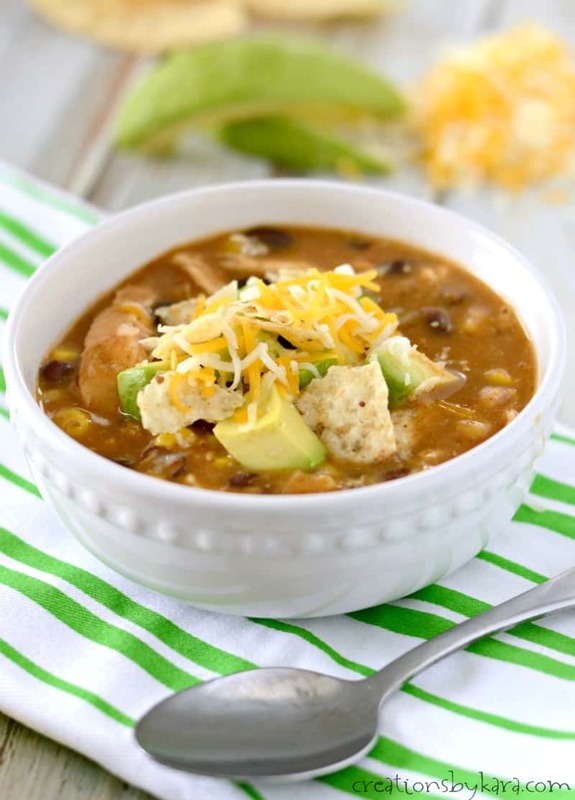 Serve with tortilla chips, diced avocado, and additional grated cheese. Today is National Chili Day! 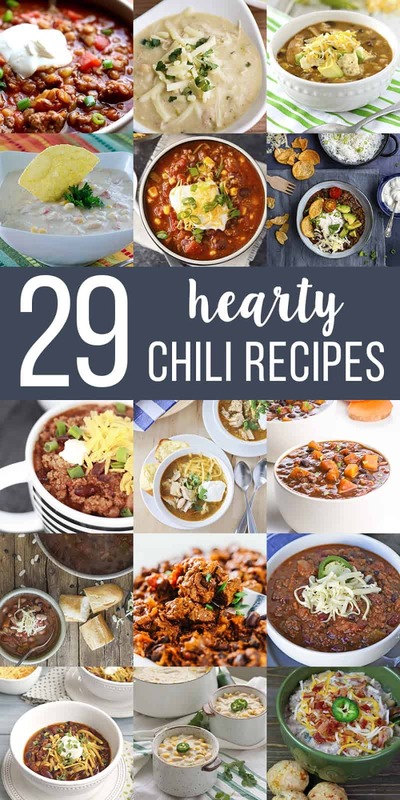 I’m teaming up with some fellow foodies to bring you over two dozen mouthwatering chili recipes. Enjoy! I love this! Need to add enchilada sauce to my food storage so I can make it anytime. I improvised with what I had on hand, canned corn, frozen shredded chicken and boiled eggs instead of avocados and it still tasted amazing. I know avocados would make it any better. I love your twist on chili! My kids are picky eaters too, but I’m curious to see if they would try your version. Seriously, two of my favorite meals combined! How could I not love this chili? Can’t wait to try it! Mine too Alicia! I love chicken enchiladas! 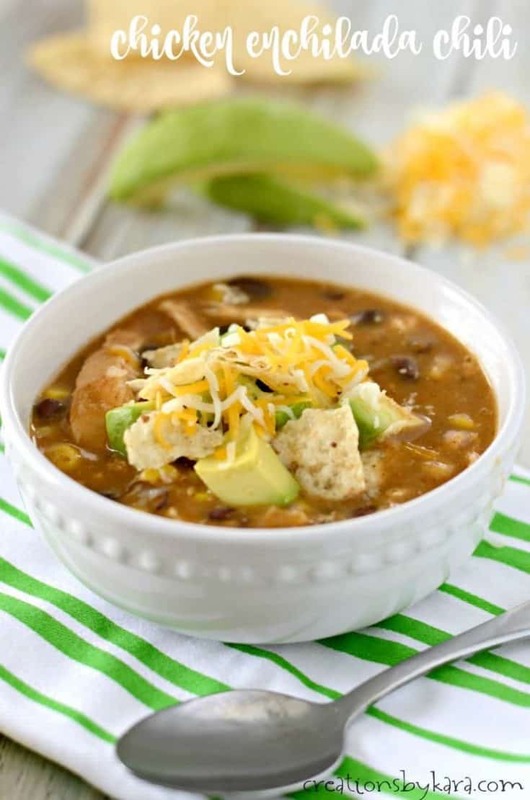 I don’t know about you, but this is a perfect day to be celebrating National Chili Day because it’s so cold here! Nothing but chili will do for dinner! I added your recipe to my pinterest board on recipes I’d love to veganize! Thanks! Same here. It has been bitter cold, and the snow just keeps on coming! I have never had a Chicken Chili, but I can’t wait to try it, it looks delicious. 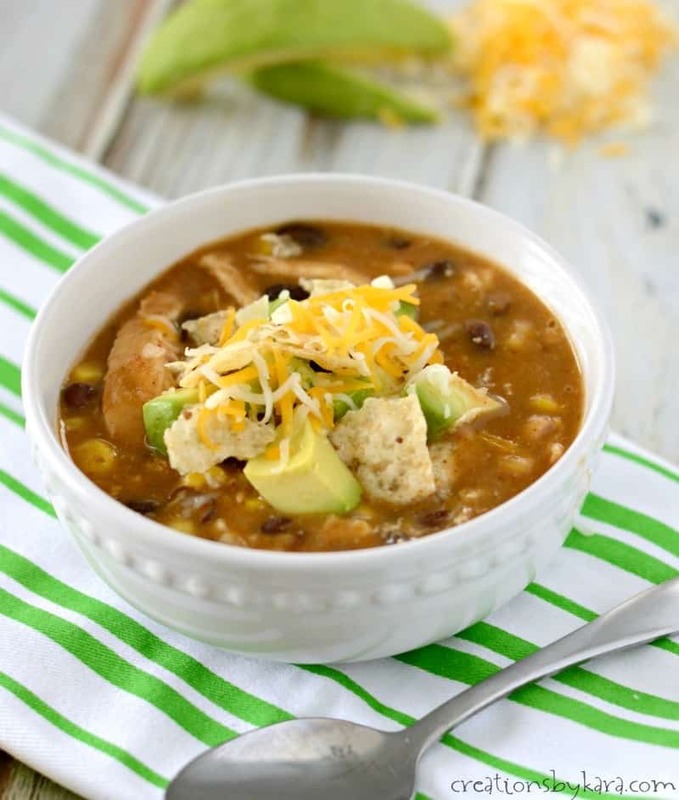 We love chicken chili at our house, you really do need to give it a try! I will have a large bowl please, on my way over! It looks so comforting and totally delicious.